Most people think a home that didn’t sell was probably “overpriced”, but typically, nothing could be further from the truth. 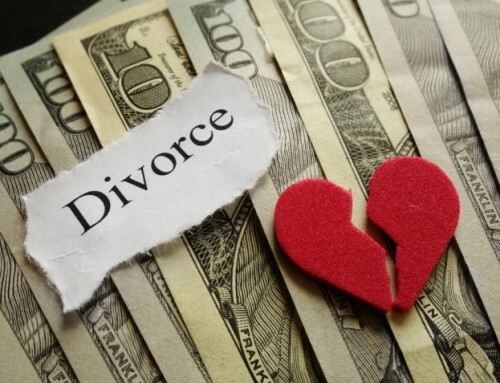 Even though you’re likely stressed and in a type of rush due to your divorce, don’t screw this up. It’s not just about the price! Typically, the reason homes don’t sell is because it wasn’t marketed properly. Selling something for full market value isn’t easy. Sure, negotiation with the buyer may be needed, but good marketing helps bring in a full price offer. Just recently, we worked with a seller who was a perfect example of this. Let’s call him John. Before he worked with us, John hired an experienced agent at a reputable firm to help him sell his house. It was listed for $499,900 and the agent’s marketing effort was good: the home’s photos were top-notch in quality, it was advertised extensively online and in the newspaper, and the agent even held an open house. However, John’s agent’s efforts failed to attract a buyer. The agent then suggested a price adjustment. After all, most of the similar homes were priced around $400,000 to $450,000, so the agent recommended that they drop the price to $450,000. But John knew he owned one of the nicest homes in the area, and his home had many features that the other homes didn’t have. So instead of reducing the price, he hired a new agent instead. This time, John chose the #1 highest-selling agent at the top real estate company in his area. The agent had plenty of awards and accolades. The agent took a closer look at John’s home and launched his own specialized marketing plan, including new photos that were even better, more advertising than before, and several open houses including even a Broker’s Open. Even with the additional and improved marketing, the second agent couldn’t sell John’s home. John was frustrated. What could he do to sell his house? Both of the previous agents told him it was because his home was “overpriced”. John had only two options: 1) reduce the list price of his home, or 2) find and hire an agent who could sell the home for what it was actually worth. Fortunately, John chose the second option, and that was when he started working with us. After carefully viewing John’s house, comparing it with other homes on the market, and reviewing sales data, we could clearly see that it was worth the price. We put John’s home on the market for the same price as the previous agents, and 63 days later, John’s home sold for $480,000. Because houses do NOT always sell for what they are “worth”. Sometimes, they sell for more. Sometimes, they sell for less. Strip away misconceptions about “worth”, and examine the real factors at work so you can leverage them in your favor! We simply used a marketing strategy that most agents don’t. The goal of our marketing is to get a buyer so excited about your home that they are willing to pay full price. We’re happy to share the details of our marketing strategy with you; just ask!